There’s $1.3 Million guaranteed over 25 tourneys, including a $420,000 Main Event on the final day at 4pm ET. 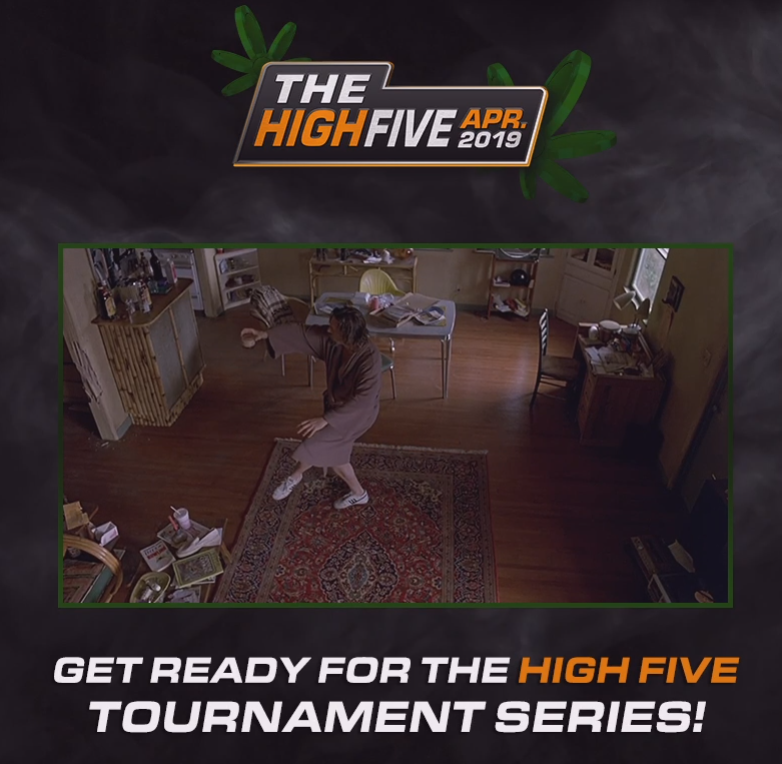 The 420-inspired #HighFive Tournament Series runs tomorrow (Wednesday) through Sunday. Don’t miss your chance to take your bankroll higher with $1.3 Million in total guarantees! 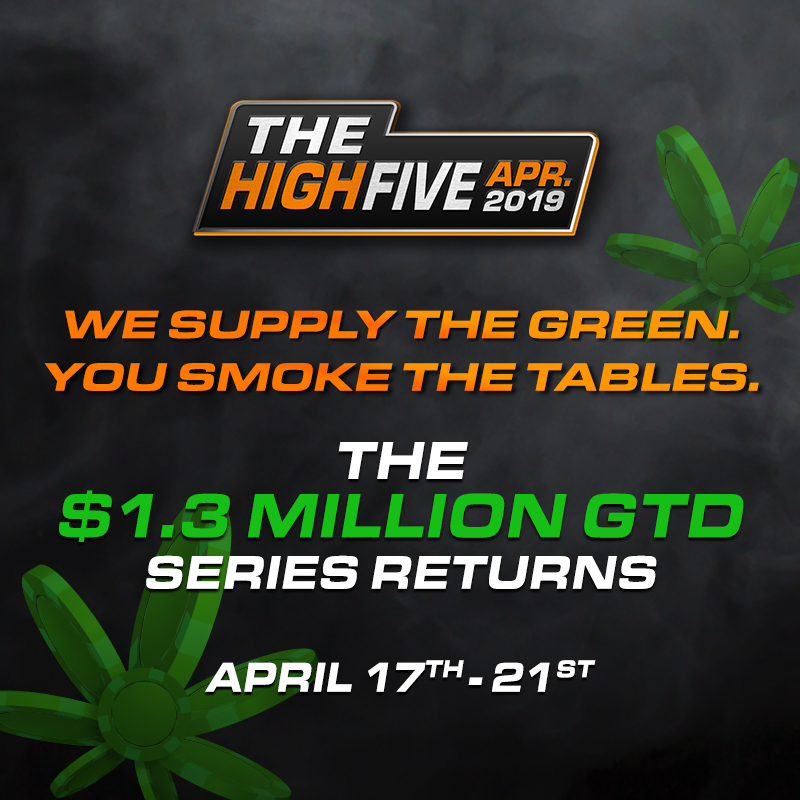 The 420-friendly High Five Tournament Series is underway once again at Americas Cardroom. There is $1,300,000 in guaranteed prize pools over 25 added events. 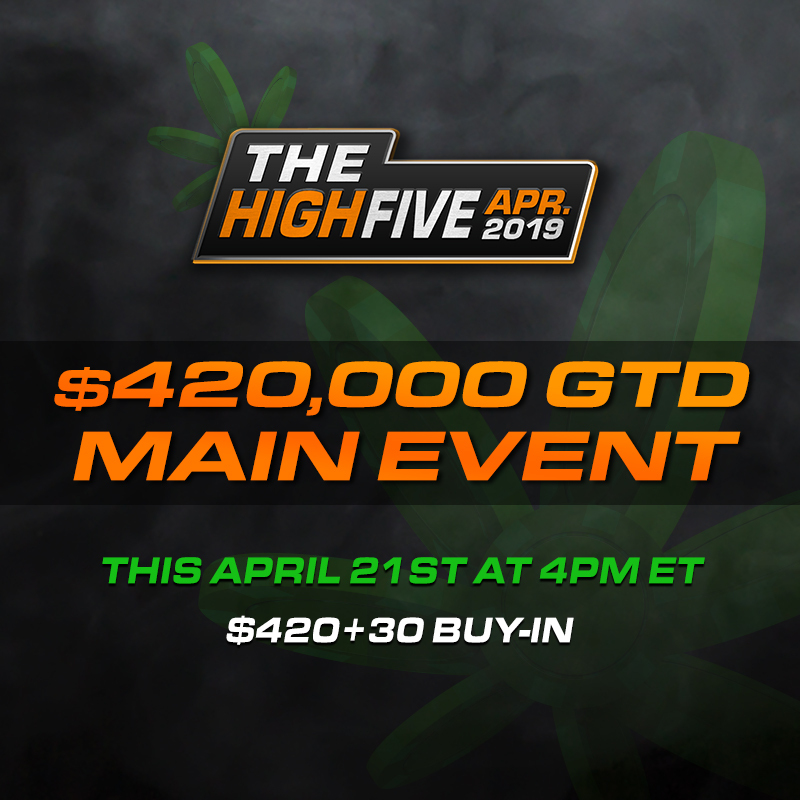 The last day is this Sunday, April 21st and that’s when the $420,000 GTD Main Event will start at 4pm ET. It has a buy-in of $420+30, but you can qualify for far less via satellite. Head to americascardroom.eu now for more details.